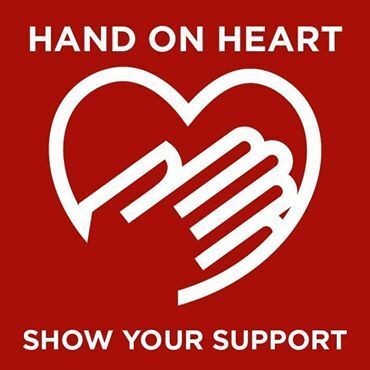 We’d like to draw your attention to South East Hospitals & Cardiac Support Rally Saturday afternoon, January 19th. The lack of a 24/7 cardiac care service is a serious health deficit that exists in the South East. The South East cardiac centre based in University Hospital Waterford is the region’s emergency cardiac treatment centre for both sudden (acute) heart attack and cardiac arrest. This PPCI centre is one of 7 national centres so designated to deal with acute cardiac events but it is the only centre in the country restricted to a 39 hrs operating week Monday to Friday (closed at weekends) while all of the other national centres are funded to operate 24/7! This means that for those in the south east unfortunate to suffer a heart attack or cardiac arrest outside of the hours 9 to 5 – Monday to Friday, their nearest point of cardiac care rescue is in either Cork or Dublin centres depending on their starting location! The single cardiac catheterisation Laboratory at UHW is the most efficient in the state doing the highest number of patient procedures nationally despite its restrictive 39 hr week. A 2nd Cath Lab and contract staff that could significantly add to access hours has been in situ at UHW since Sept 2018 but this 2nd laboratory is not allowed or resourced to provide any treatment beyond providing a diagnostic test for coronary disease. This lack of emergency access is a significant discrimination of the south east region where the UHW centre is the nominated point for over 500,000 people in the region. UHW has had for over 6 years, and continues to have the longest and largest cardiac waiting list in the country! We in ‘Health Equality For the South East’ (hefse) believe this discriminatory situation should not be tolerated any longer. We note the addition of a 2nd cath lab to St Vincents Hospital Dublin in August 2018 to bring the total number of cath labs in Dublin city area to 21! The Capital has in addition 4 labs running 24/7! This, while the South East continues to operate with just a single lab and a 39 hrs service window!! To continue to highlight this situation and pressure an immediate solution we are asking all members of our sporting clubs to participate in the support rally which is taking place this Saturday January 19th. The rally begins at 1.45pm in the Glen in Waterford and will march to John Roberts Square in the city to hear from campaigners and service providers on the issue. We wish to send a resounding message to Government that this health discrimination cannot continue any longer! For more information please log on to www.hefse.com. Many thanks for reviewing and we look forward to your support on the day!